It's been a fairly good wax week. I did start breaking in some holiday scents, but held it together and didn't start plowing through them yet. The temptation is strong though! I'm sure this next week I'll blow through some! My Thoughts: This to me is an excellent holiday scent without being stereotypical holiday scent. I definitely get berry notes, followed up by some woodsy, caramel, and perfume-like notes with the balsam rounded it out in the background. It smells like it could be a holiday perfume but it's not overpowering or strong. It's just right. I really love this scent. 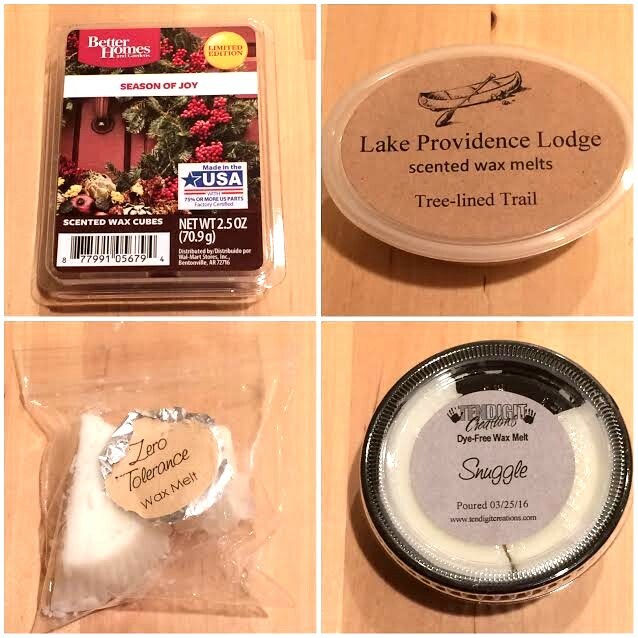 Scent Description: The scent of sweet fir, cypress and fresh mountain air. My Thoughts: Whew-wee this is strong! Too strong for my liking. This is just so resinous and has that strong sweet woodsy tree scent to it it's just too much. I do like Christmas tree scents, but I prefer them to have a lighter and brighter touch because they can get heavy handed easily. This was sadly the case for this one. Too much! My Thoughts: Accurate scent description. I go through phases with lemongrass. Sometimes I love it sometimes I don't. Right now, I'm in a love phase and this scent is excellent. It's crisp, fresh, citrusy, and clean. It is a true lemongrass scent, it's strictly lemongrass nothing sweet or weird added to it. Just lemongrass and I dig it! My Thoughts: I was scared of this scent so it's been sitting around for awhile in my wax drawer. I do like laundry scents, but laundry scents can go too strong and headache inducing pretty quickly for me. On cold sniff, this smell S-T-R-O-N-G so I was hesitant. I was brave today and melted it and it mellowed out immensely when melted. It left the perfect light fresh laundry scent dispersed in the air. This is one of the few times I'd rather a scent be light than strong. I'm happy this was the case.